A sudden and complete obstruction of blood flow to a part of the heart muscle is a heart attack, and is usually caused by plaque breaking off, blocking the flow of blood. Studies show endurance athletes may have more plaque than non-exercises but are less likely to suffer a heart attack. 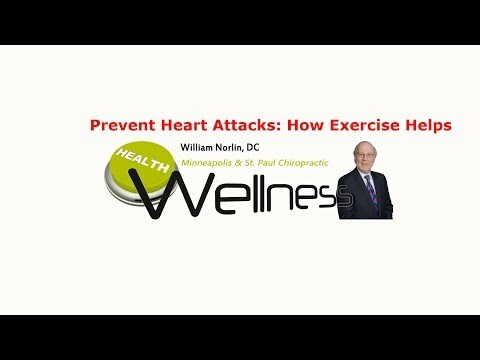 What does that mean in terms of exercise and heart disease? Watch this video now to find out. Click the Red More Button in your email or the image below if you are on our website. You can add quality years to your life if you know the basics of a positive lifestyle change! Watch this video now and learn what it takes. Click the Red More Button in your email or the image below if you are on our website. Statins reduce the ability to exercise by decreasing the number and function of muscle mitochondria, the energy sources for muscles during exercise, as well as causing muscle damage. So if statins cause such serious problems what do you do about cholesterol if you can’t take them? Watch this video and find out. It’s much simpler than you think. Click the Red More Button in your email or the image below if you are on our website. The most natural and easy solutions are sometimes the best to do. Most times, in fact! Watch this video now to find out how effective an exercise program is when it comes to dementia. Click the Red More Button in your email or the image below if you are on our website. Chiropractor Minneapolis St. Paul – To Eat Or Not To Eat Before Working Out? There are a lot of opinions about whether to eat before a workout or not. So what do serious exercisers do? What does the science say? Watch this video now to find out what you should do and the reason why. Click the Red More Button in your email or the image below if you are on our website.